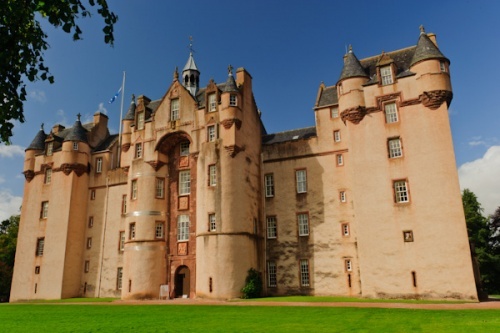 Fyvie Castle can make a good claim to being just about the perfect Scottish baronial castle (Brodie Castle, also in Grampian, might make the same claim!). 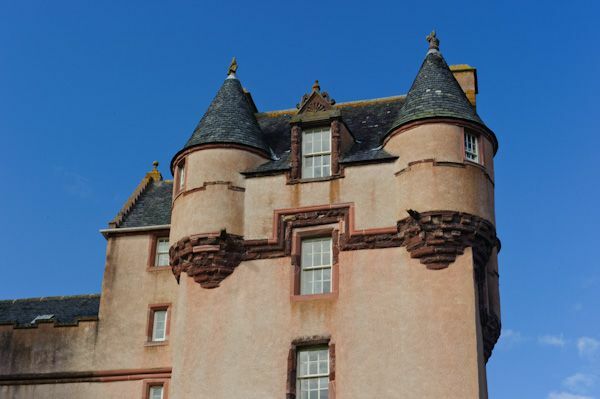 Your first sight of the turreted castle can make you stop dead in your tracks, it is just that pretty. 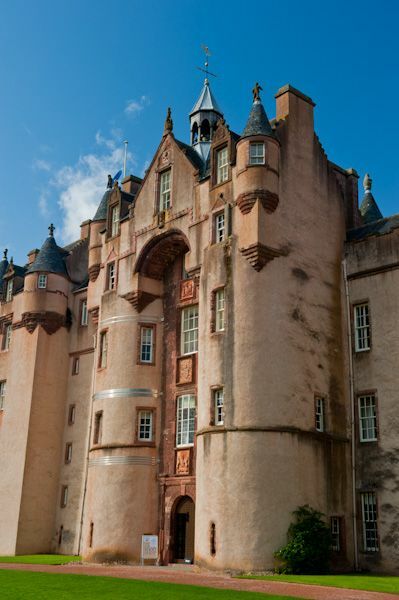 Now, castles are not normally designed to be 'pretty', and the same is true of Fyvie! 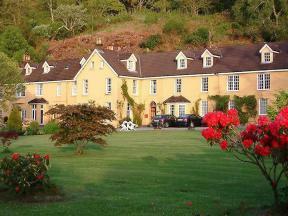 The first building here was a royal lodge, to which a curtain wall was added to create a huge courtyard. 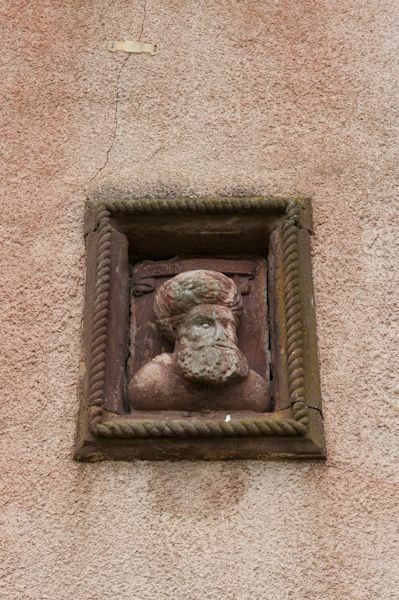 William the Lion used Fyvie to hold a Parliament in 1214, and a succession of royal visitors followed, including Alexander II (1222), Edward I of England (1296), and Robert the Bruce in 1308. 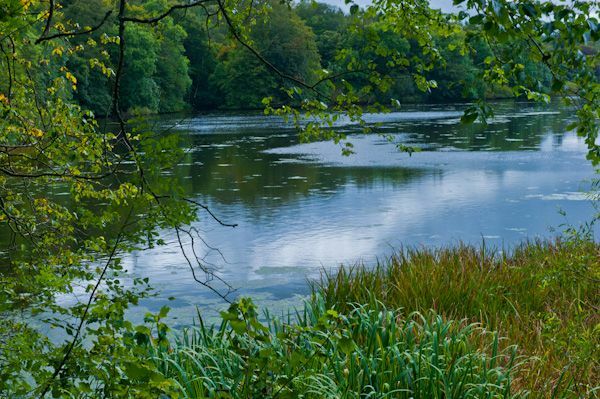 In 1380 Fyvie was sold by the crown to the Lindsay family, but it quickly passed to the Preston family. 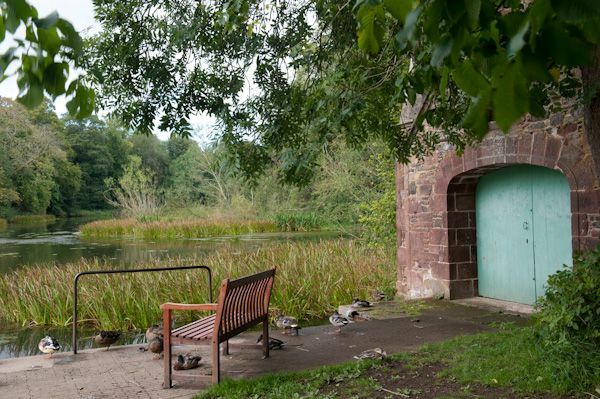 It was the Prestons who made the first major changes to Fyvie, and they built the oldest surviving part of the current castle, the aptly named Preston Tower, at the south east corner. 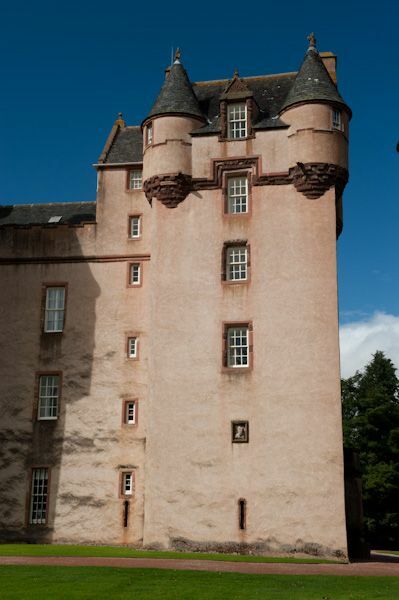 In the 15th century, Sir Alexander Meldrum added his own tower at the south west corner. Much of the current building, however, was the work of the Seton family, who added the impressive main entrance, with a high arched doorway flanked by twin drum towers. 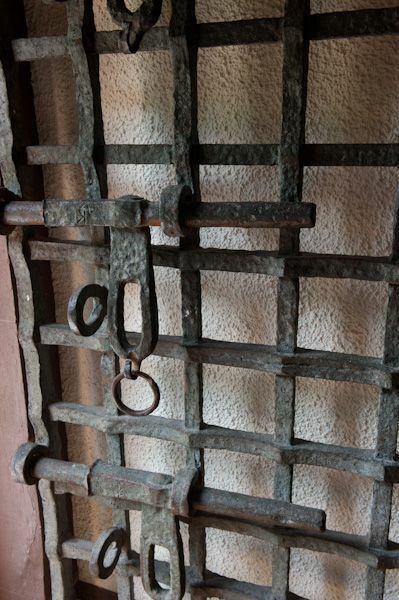 The Setons made the mistake of supporting the Jacobite cause, and in 1690 they were outlawed. Fyvie passed to the powerful Gordon family, Earls of Aberdeen, and they added yet another tower, to the north. In 1885 Alexander Forbes-Leith, a steel tycoon, purchased Fyvie with his American wife. They added a final tower, and, more importantly, restored the interiors and furnished Fyvie in a grand style. Much of the interior we see today is the result of the Leith influence, and much of the art that makes Fyvie such a delight came from their collection. One of the major Leith contributions was the lovely plasterwork which ornaments several of the staterooms. Arguably the most impressive room is the Gallery, which contains a series of wonderfully carved wooden panels rescued from a Dutch church. In a house as old as Fyvie you almost expect to find a ghost or two. And you'd be right, for Fyvie is reputed to have been haunted by at least two resident spectres. The Green Lady is said to be the ghost of Lilian Drummond, who was starved to death by her husband in 1601. The Grey Lady is a much more recent spirit, though in this case few details are known. In the 1920s workmen doing repairs discovered the bones of a woman sealed inside a wall. The bones were buried respectfully in the local churchyard, but the Grey Lady's spectre haunted the castle until the bones were dug up once again and replaced in her initial resting place, whereupon the sightings of the Grey Lady ceased. 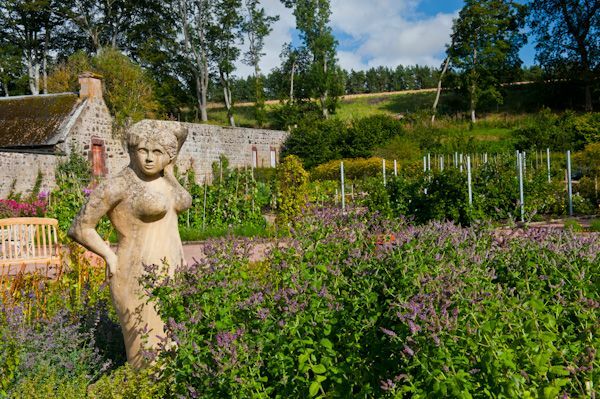 Fyvie is set in marvellous grounds, with a lochside walk, and several gardens, including a walled garden, American Garden, and a special garden named for a medieval seer named Thomas Rhymer. It seems that Rhymer was feared and revered in equal measure. When he approached Fyvie, a squall of wind blew down a tree, and he was struck by a branch. Flying into a rage, he cursed Fyvie and its owners. Perhaps it will mitigate the curse to name a garden after him? 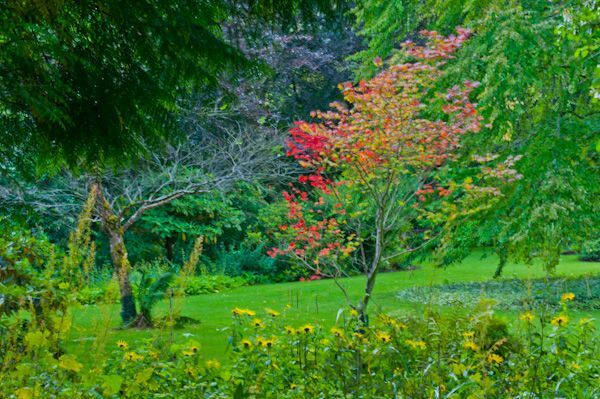 In any case, Fyvie is well worth a visit. It would be hard to find a more interesting or historic house in Scotland.